your bare walls will pop without adding any bulk! rooms. They are proudly produced in the USA to meet or exceed your quality expectations. 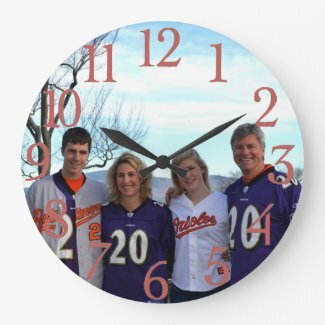 We want you to love your custom clock. If you are not satisfied with the final product for any reason, you may return your purchase for a replacement or refund within 30 days of receipt. Contact me here if you wish to have a clock personalized for you, at no additional cost!